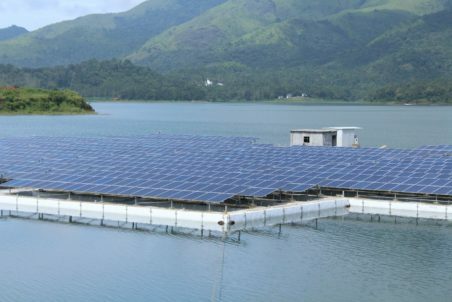 Kerala State with large stretches of water bodies has huge potential for floating photovoltaic systems. 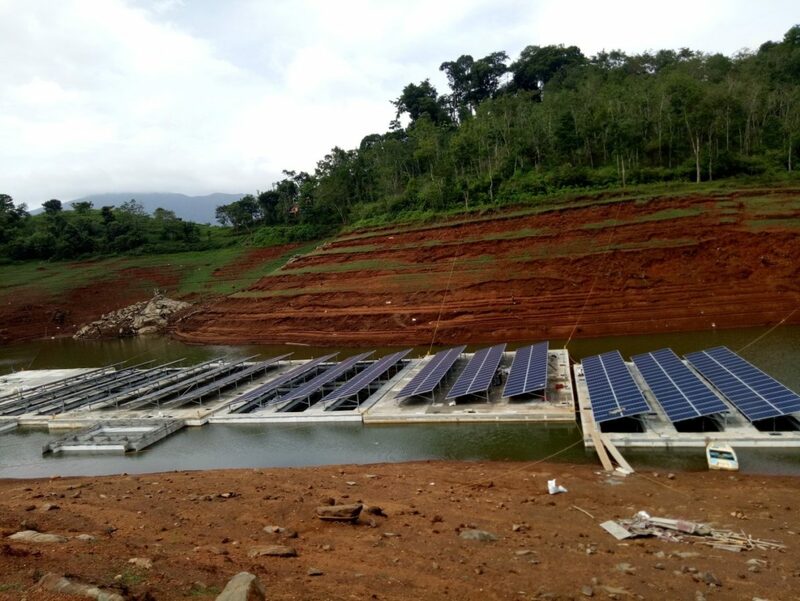 Regen power is a consortia member undertaking the design, installation and commissioning of a 500 kWp Grid Interactive Floating Solar Power Plant for Kerala State Electricity Board (KSEB) in the Banasurasagar dam in Wayanad- the first of its kind in India. The project involves fiber steel based floating structures which are able to adapt to varying reservoir water levels by means of an innovative anchoring system. The floating system was originally developed by Trivandrum based Floatels India Pvt Ltd. The consortia is led by Adtech Systems Ltd, a Thiruvananthapuram-based company. Each float has 114 nos of 260 watts solar panels (manufactured by Radiant Solar Pvt Ltd) and a 33kW ABB solar string inverter – which converts the direct current (DC) generated by the solar panels into high quality three phase alternating current (AC). A prefabricated steel enclosure housing HT Switchgear, 500kVA Transformer, LT Switchgear and associated equipment to form a composite compartmentalized UNITISED SUB-STATION was also installed on one of the floats. 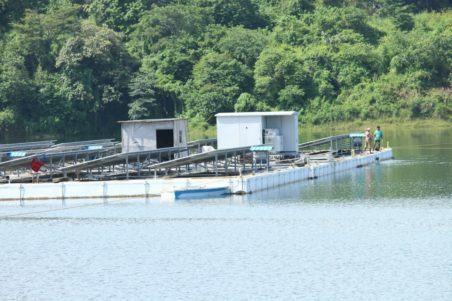 The floating solar power plant, ready to be commissioned in early October 2017, will generate about 700,000 kWh per year which will be fed directly to the grid. 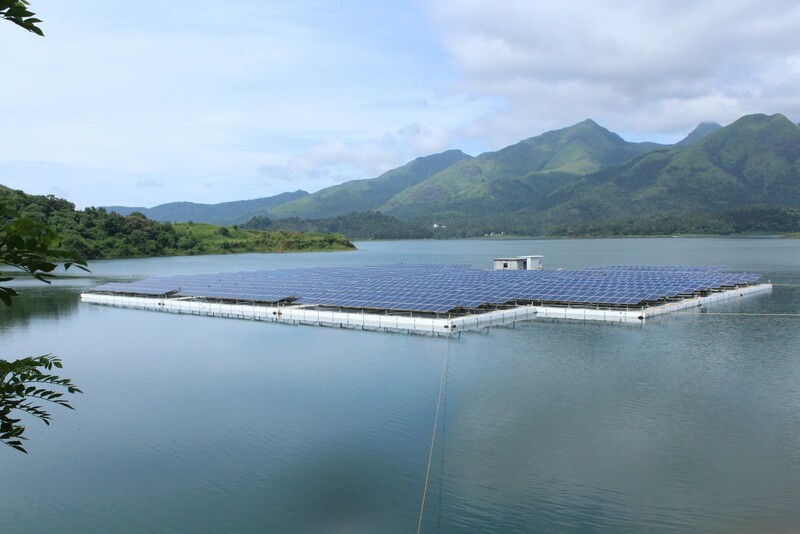 Scientific studies have proved that floating solar panels generate higher output due to lower ambient temperature existing on the surface of the waterbody. Apart from this evaporation of water from the reservoir will be minimal as the surface is covered by solar panels. Solar panel installation and the 500KW Unified Substation. Solar Power Trading – Here is how it works.